There are a number of reasons why performing a search engine optimization audit for your website is important. You can identify areas that require improvement, and this, in turn, can help you create a plan for action aimed at correcting them. Additionally, a well-conducted SEO audit will ensure your website follows the latest developments and recommendations in search marketing and is capable of competing with the competition. But What a SEO Audit Truly is? Prior to considering how to perform a SEO audit, it is vital to determine what it involves and what can be expected from it. SEO audit is the process of determining how well your website stands in a number of key areas. The person who audits the website should examine it against a checklist and prepare recommendations of what needs to be done and why so that the website in question can improve its ranking in search engines. While you can use a range of tools to audit a website, it is best to either hire a SEO auditor or do the audit yourself using a guide. Should you decide to use the services of a company, you should look for one with reasonable prices. 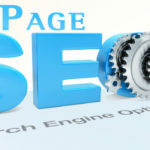 A price of USD 300 for a complete SEO audit is one such example. The recommendations should be customized for your particular website instead of being general like those a tool would produce. What can be Expected from a SEO Audit? 1. The current state of your website. This should be in a form of a detailed analysis on how well your website performs in social media, search results, the number of both internal and external links and any other useful information that relates to the existing state of your website. 2. 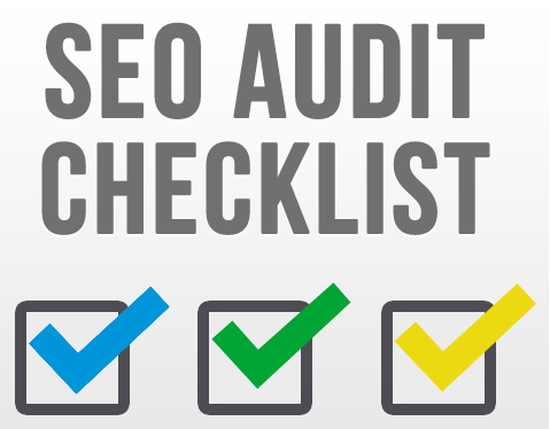 The SEO audit checklist should include a list of actions, accompanied with explanations for all the items in the list. 3. A final report that describes a comprehensive SEO strategy for making the most out of all available opportunities and sources of traffic on the internet. 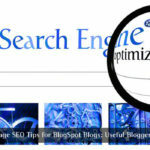 Why should you Regularly Perform SEO Audit for your Website? Things in the SEO industry change rapidly and what may be working today may become obsolete in just several months. Thus, performing regular SEO audits, no less than twice a year, is a must to ensure that your website accounts for the latest developments in the industry. After you have learnt why a SEO audit is so important and why it is necessary for any website to perform it, let us dive deeper. The most important part of the on-site SEO is the SEO audit checklist. In reality, the majority of audits only cover this part. However, as we have already explained above, we will be checking the other areas as well. The following URL is much better: “http://www.site.com/url-with-good-format”. 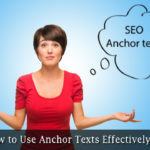 Well-structured URLs usually include keywords, use hyphens for separating keywords, and are truly unique for individual pages. They are also less than 255 characters in length, together with the domain name. Titles and descriptions: These should be within the specified size and unique for individual pages. Does the title speak to the user what the topic of the page is about? Does the description properly advertise what the page offers? Formatting of text: Ensure that your pages do not contain only plain text. Use proper formatting for all titles and tags, and use italics or better bold for the most important parts and when it is appropriate to use them. Content: Your website has to have unique content. Using Copyscape can help you determine how unique the content of your website is. If you discover any duplicate content, you should better remove it or de-index the pages using it. Google Analytics should be used to discover the pages with most popular content. Ensure that all your content is properly formatted, has no grammar or spelling errors and is featured on social media sites. Checking content freshness and length is also important. Having pages without content or lacking enough content is not recommended. You can use 301 redirects to merge them together. If you have an out-of-date or old content, you should create a schedule for adding new content frequently. Although you are not required to post on a daily basis, you must maintain a steady posting habit. 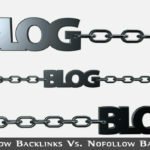 Internal links: Creating links between pages is important to both users and search engines. Ensure that you create links between particular pages with related information. 1. The filenames of images should be descriptive of their true nature. Some people use keywords in the description. 2. The ALT tag should be defined in all images. 3. Compress all images to reduce their file size. There are certain tools that will help you accomplish that and you can also use a CDN (content delivery network). 1. The free tool Xenu allows you to check all your external links and generates reports of broken links. 2. Your Bing and Google webmaster tools allow you to use a report for Crawl errors to pinpoint broken links in your site. Doing 301 redirects to a valid URL or correcting the links will allow you to fix them. The use of too many banner ads: Google has already started penalizing websites that feature an excessive number of ads. They do not specifically explain how many ads are too many but if your implementation of ads is not in accordance with their standards, you better rearrange your ads or even remove some. Does your website have a 404 page that informs the user when they enter a wrong URL? How many clicks a user must make to find what they are looking for? Does it have a main menu with clearly defined structure? Can you make a distinction between advertisements and website content? Do all pages have a consistent interface? Is there an available user sitemap? The speed with which pages load: Out of my own experience when talking with clients, handling the speed with which websites load is one of the most important and difficult work, and it is especially so for users with little to no technical expertise. What is even more unfortunate is that it is one of the most important factors for a good SEO and must be addressed in a successful manner. The studies demonstrating how page speed affects conversion rates and your rankings are way too many. If you can ensure that your website loads faster than that of your competitors, it will give you a distinct advantage when ranking. The structure of the website: No matter what kind of website you have, certain elements are common to all and they are necessary for both the good user experience and the SEO campaigns. Is the content structure of the website clear, and is the content grouped together into pages using relevant categories? Do all internal pages have a breadcrumb? The web is full of detailed explanations for all the aforementioned factors and some sources even contain real and valuable examples so you should definitely check these.